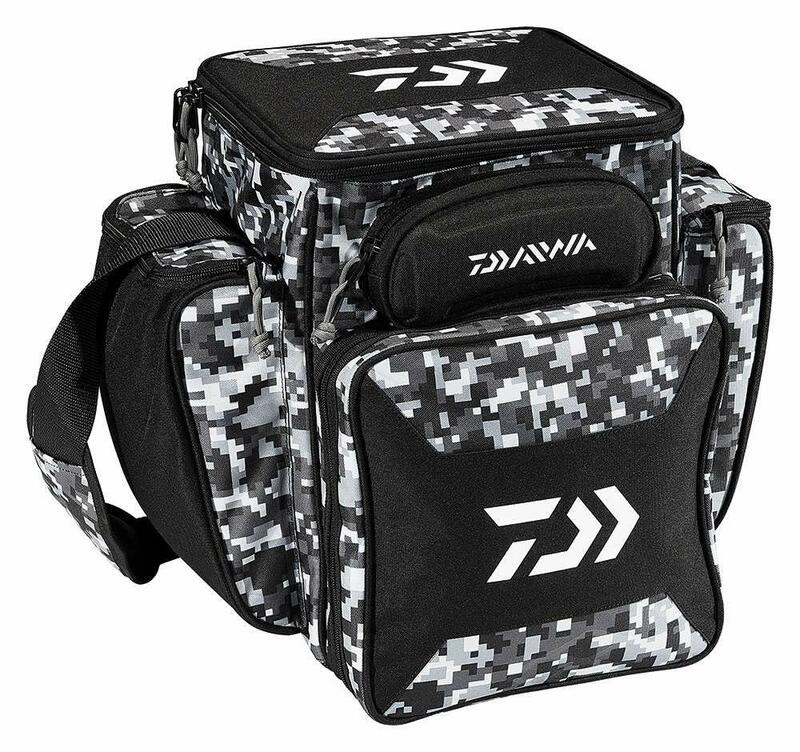 Each Daiwa Tactical Soft Sided Fishing Tactical Box includes 5 Modular Storage Trays – Perfect for lures, jigs, terminal tackle, sunblock and tools. 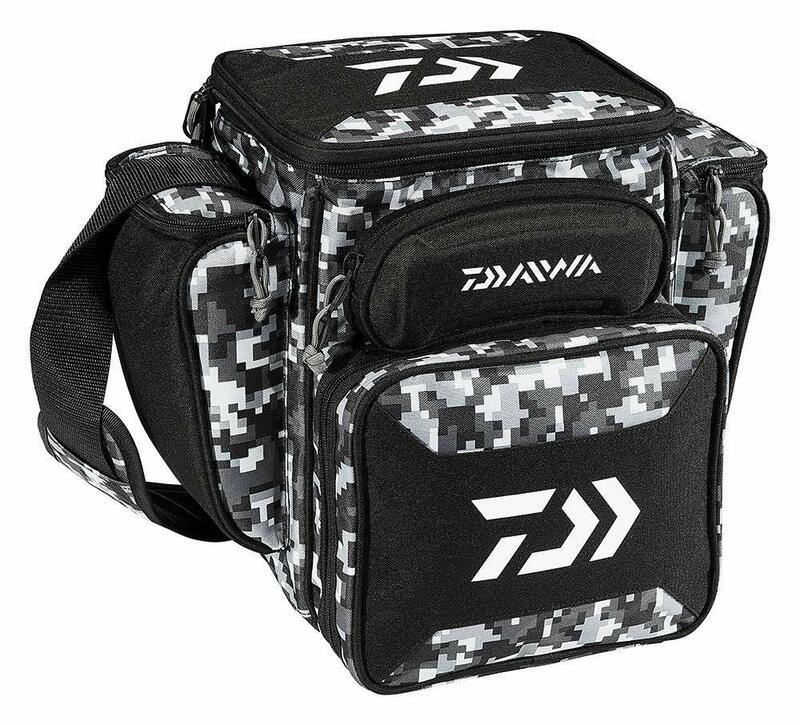 FEATURES: he large top pocket will hold five 3600 sized trays ( Medium) or five 3700 sized trays ( Large ) | Molded sunglass holder, 2 zippered side pockets on the back, cell phone/GPS holder on front and plier holder on both side pockets. 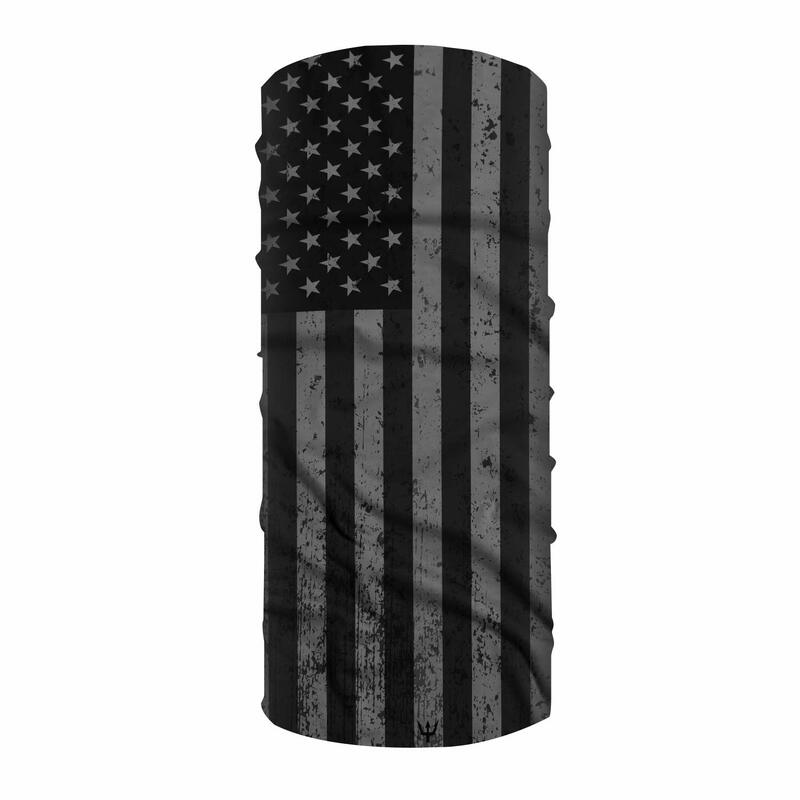 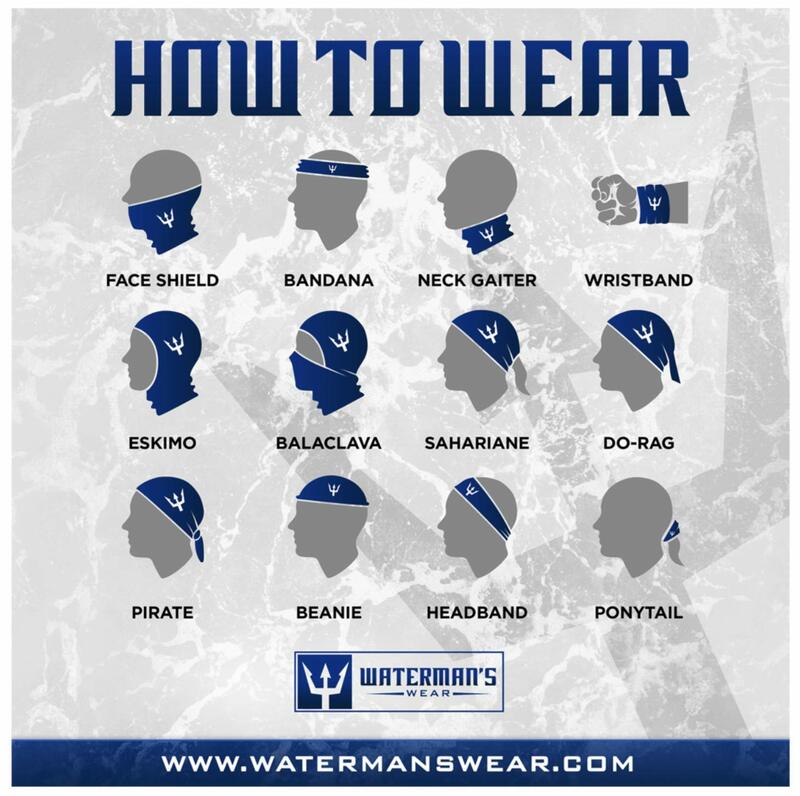 THIS BUNDLE INCLUDES A FREE WATERMAN’S WEAR AMERICAN FLAG UPF50 FACE MASK/SHIELD/BUFF for ultimate sun protection while fishing. These retail for $14.95.